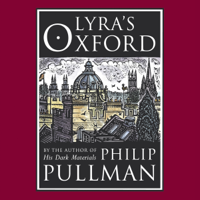 Lyra's Oxford opens two years after the conclusion of Philip Pullman's The Amber Spyglass in the comfort and familiarity of Jordan College, where Lyra and her daemon, Pantalaimon, sit on the sun-drenched roof looking out over all of Oxford. But their peace is shattered when a strange bird - a witch's daemon, on it's own - tumbles out of the sky, in search of a healing elixer to cure his witch of a strange new disease. Lyra and Pan decided to help - witches are friends, of course - but the closer their winding walk leads them towards the infamous Oxford alchemist, the stronger Lyra's sense that something is amiss.